CDE makes a complete line of the world's finest rotors: Ham, heavy duty automatic, heavy duty manual» standard-duty automatic, standard-duty manual...and the industry's only wireless remote control rotorsystem! of the operating bias is supplied by a grid resistor. With plate and screen voltages and no grit] drive applied to the stage, the cathode current is less than 10 milliamps and the stage is completely stable. The particular zener diode is a 1X2993 (10M43Z5) which is rated for 43 volts and 10 watts. The cathode of the diode is connected to the mounting stud, and all that needs to be done is to drill a hole. w mount the diode to the chassis, and connect the anode of the diode to the cathode of the tube, fhe usual cathode by-pass capacitor (about 0.005 mf) must be connected across the diode. The wattage rating of the diode is determined by multiplying the voltage drop across the zener diode by the maximum current through it. The diode having the next higher wattage rating and the proper voltage rating is selected. When high wattage diodes are being used, care should be taken to insure that a proper heat sink is supplied. Quality workmanship and materials at a price to please all amateurs. 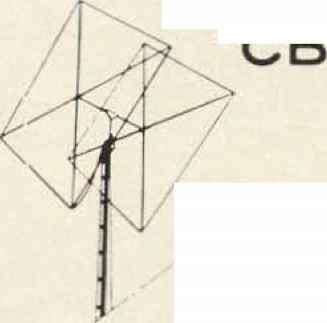 See January 1964 QST page 75 DX King's Rate Antennas"
front end, double conversion, and a bfo for CW and SB reception. All of this is installed on printed circuit boards. You know the old caution to take: keep leads as short as possible. On this project, forget it. 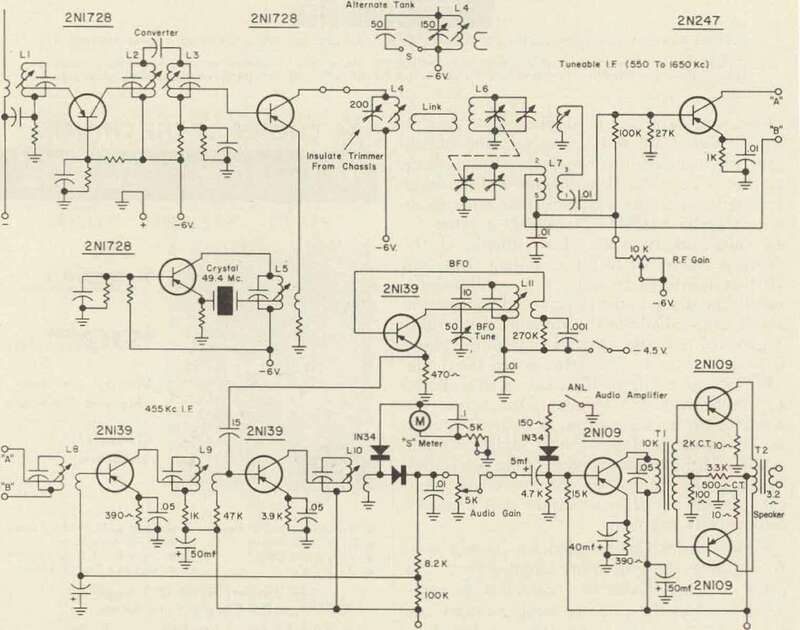 The printed circuit takes care of those things for you, i he receiver does a fine job on AM, CW, and SB-, Total power supply is 4 large flashlight batteries, which do not need replacing very often. Idle current is approximate!} 15 ma and peaks to approximately 30 ma with an automatic noise limit or to boot. The A XL sure comes in handy around congested areas where ignition noise is a prob lem. 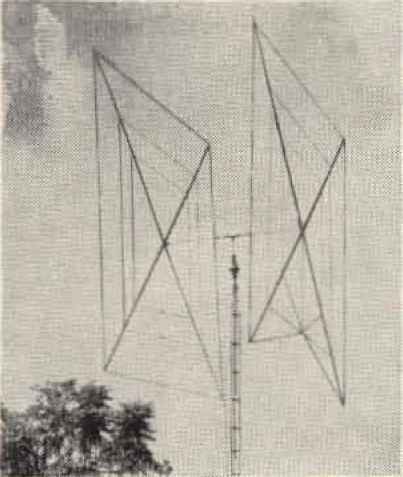 It measures 9 inches wide, fi inches high, and 8 inches deep, I he miniaturization ham can build this receiver a lot smaller, because there is plenty of room to spare in the one built by the author.